Please click on partner logos for links. Prof. Sandra Van Schaeybroek is Coordinator of the MErCuRIC project, responsible for overseeing the translational and clinical aspects of the project. The research groups of Prof. Van Schaeybroek, Prof. Mark Lawler and Prof. Patrick Johnston in the Centre for Cancer Research and Cell Biology (CCRCB) at Queen’s University Belfast have extensive experience in translational approaches to cancer therapy that will inform the work of the project. Queen’s is pioneering new approaches to cancer therapy at the CCRCB and has a long term commitment to personalized medicine. Led by Prof. Josep Tabernero, VHIO will recruit patients to the MErCuRIC Phase I trial and lead and recruit patients to the Phase II trial, leveraging their extensive international experience running clinical trials. VHIO has been a leader in the shift to molecular medicine in recent decades. 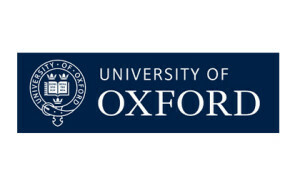 Prof. Mark Middleton and Prof. Tim Maughan in the Department of Oncology will lead the Oxford work in MErCuRIC. Prof. Maughan leads one of the UK’s leading research groups in gastrointestinal cancers, while Prof. Middleton brings a wealth of expertise in clinical research into modulating resistance to anticancer agents. With Prof. Middleton acting as Chief Investigator, Oxford will sponsor and manage the international MErCuRIC clinical trials through the Oncology Clinical Trials Office. The group already has experience in leading UK based clinical trials in metastatic colorectal cancer. Dr. Sharon Love of the Centre for Statistics in Medicine will be responsible for trial statistics. Oxford will recruit patients to both Phase I and II trials. Led by Prof. Dr. Marc Peeters, the team at the Multidisciplinary Oncological Centre of Antwerp (MOCA) at the University Hospital of Antwerp has a long standing interest in colorectal cancer and bring substantial clinical trial experience. Prof. Peeters and his group are interested in drug resistance mechanisms and novel therapeutic approaches. UZA will recruit patients to the Phase I and II trials in MErCuRIC. The Velindre Cancer Centre within the Velindre National Health Service Trust will participate in MErCuRIC. The Clinical Trials Unit in VCC will oversee recruitment to the MErCuRIC trials with Dr. Robert Jones leading the Phase I trial and Dr. Richard Adams leading the Phase II trial. As a pioneer of systems medicine, RCSI has had a long-term focus on translating basic research into clinical practice. The College is involved in several European projects targeting colorectal cancer. The MErCuRIC initiative in RCSI is led by Prof. Bryan Hennessy. RCSI will recruit patients to the Phase I and II trials, as well as provide translational research expertise in Sequenom technologies to develop a high-throughput analysis platform based on predictive genetic profiles. Within the Faculty of Medicine at the Paris Descartes University Medical School, Prof. Laurent-Puig is developing several new markers for colorectal cancer and methods for drug response prediction. The PDUM team brings world leading experience in targets relevant to colorectal cancer to the MErCuRIC project. During the project, PDUM will contribute to translational aspects of the research programme (qPCR, Next Generation Sequencing). 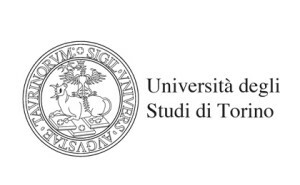 The team of Prof. Alberto Bardelli in the Department of Oncology at UNITO are pioneers in the tailoring of drug combinations to overcome resistance. During MErCuRIC, the group will contribute to translational research aspects of the project, providing expertise in identifying resistance biomarkers, ctDNA based biopsies and xenopatient based drug testing. The Department of Medical Oncology at Saint-Antoine Hospital and the Department of Digestive Oncology at Georges-Pompidou Hospital are both world leading centres in gastrointestinal research. Led by Prof. Thierry André, APHP will recruit patients to the MErCuRIC Phase I and II trials on both sites, with Dr. Geraldine Perkins as principal investigator for Georges-Pompidou Hospital. 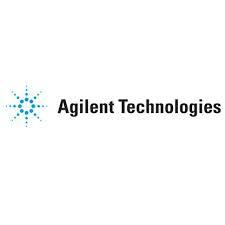 Agilent Technologies develops innovative Next Generation Sequencing technologies. The company has been a strong and reliable player in molecular diagnostics for many years. All products and solutions incorporate the latest medical findings on human genetics, oncology and prenatal testing and are developed and manufactured in compliance with the most stringent international quality standards. Led by Prof. Jurgen Del-Favero, the Agilent team will develop a state-of-the-art diagnostic test to detect specific cancer mutations during the MErCuRIC project, based on their Multiplex PCR technology. 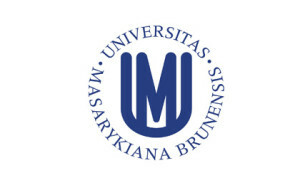 The team of Dr. Vlad Popovici at the Research Centre for Toxic Compounds in the Environment (RECETOX), Masarykova Univerzita will provide a suite of omics platforms to interrogate clinical data from the MErCuRIC trials. The team have a track record in the development of biomarkers in breast and colorectal cancer, with substantial bioinformatics experience that will be leveraged to analyze the aggregated data from the project. Led by Director Ciaran Clissmann, Pintail bring substantial experience in the administration of international European research projects, as well as dissemination and communications. Pintail are involved in a number of related cancer projects (APO-DECIDE, Angio-Predict), working with many of the same partners as in MErCuRIC. BHSCT is a national specialist services provider in Northern Ireland, with a commitment to delivering integrated health and social care. Through the Northern Ireland Cancer Research Consumer Forum (NICRCF), BHSCT will contribute the perspective of patients to the MErCuRIC project. In addition, the team of Dr. Richard Wilson at the Northern Ireland Cancer Trials Network will bring substantial clinical trial experience to the project, and oversee recruitment of patients to the Phase I and II trial. BHSCT will also contribute to Next Generation Sequencing through the expertise of Prof. Manuel Salto-Tellez.